This brief post will not nearly capture all of the awe and coziness and exhaustion and delight and fear and everything else that we feel when we consider our new and lovely and velvety soft and sleepy little star, Ivy Elizabeth. She was born nearly three weeks ago at St. Luke’s Roosevelt Hospital — my favorite hospital for getting babies; you should try it! 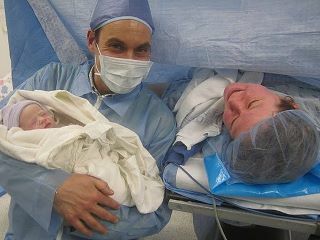 — after a scheduled C-section. Pregnancy cripples me. However, I make fantastic babies. But instead of deciding they are ready for their debut and that it’s time to come out, these babies cling to my ribs like stubborn monkeys, never descending into my pelvis to be delivered in the old-fashioned way. Well, thank goodness that Caesar and his mom shot us forth into modernity, what with unusual surgeries and delicious salads and snippy snip snipped haircuts named after him. 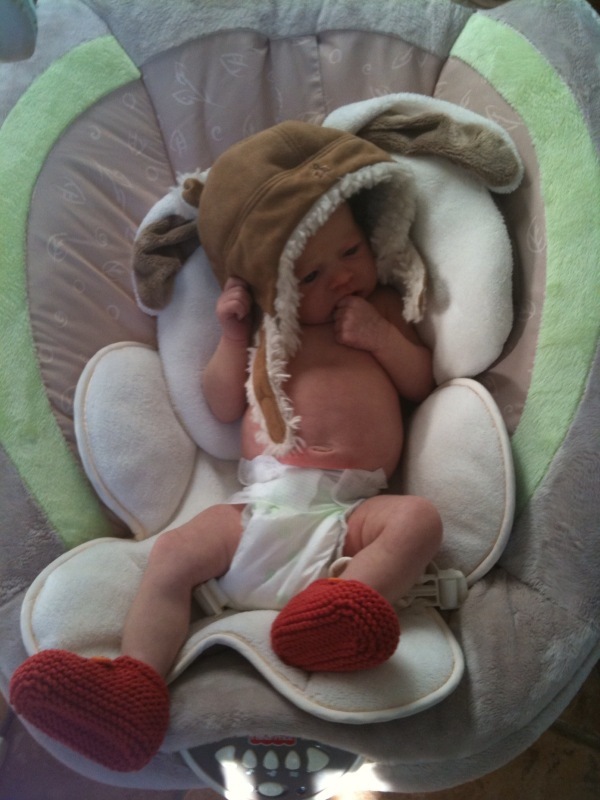 Ivy was born without complication, thanks in part to a fantastic obstetric, anesthesiology, and nursing team. She was held up for me to see doing her first little lion roar and oh how I laughed and cried to see her out in the open for us to get to know for real, rather than getting to know just through the knees and elbows and hiccups! One distinguishing characteristic of this baby is her petite size. Her fabulous bruiser brother was nearly 9 lbs, which may have been slightly exaggerated because he’d been pumped full of liquids and pitocin while they tried and failed to induce him out of me in the more typical way, but still: big. 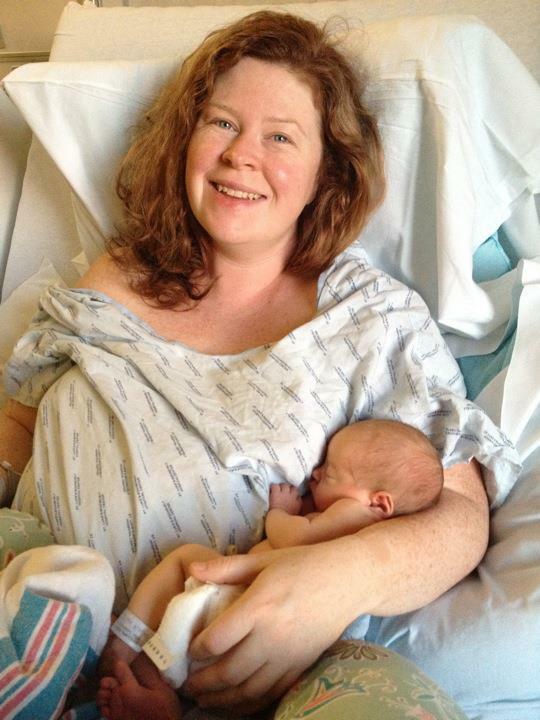 Ivy weighed a mere six pound and five ounces, a fuzzy headed blue eyed slip of a thing. But she’s a super eater — constant, efficient, happy — and she’s gaining like wildfire and pleasing her mother no end. She doesn’t have eyelashes or eyebrows, in stark contrast to her brother, who was born in high definition, looking manly, like a captain of industry. This is my sweet delicate little baby baby baby, sleepy and squinting and meowing questions about why she’s been brought out into the light. More Ivy trivia: her toes and fingers are extraordinarily long. She might be a pianist, everyone says. With her hands and with her feet, is what they don’t say. If you want someone to grip your finger with their toes, Ivy is your gal. She already has talents! We took her to the doctor and this was certainly a freak accident but she rolled over on the table. 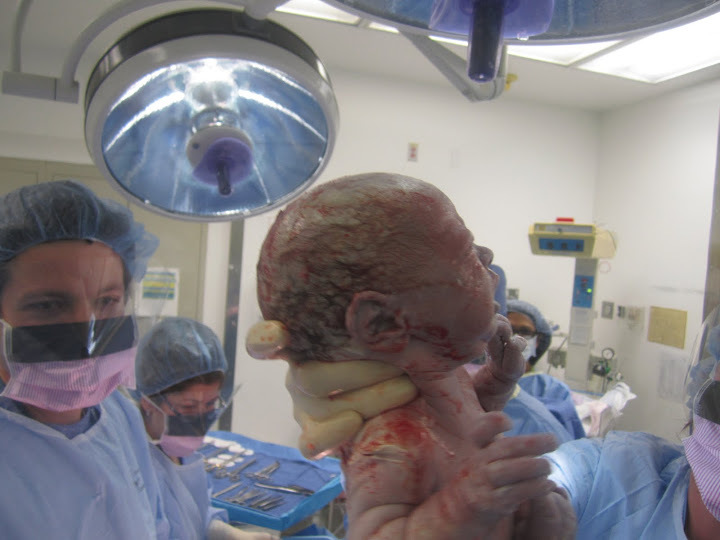 When she was less than a week old, she rolled from her tummy to her back. Great: tiny or no, we wish for her to be strong and healthy and stubborn. Welcome to you, our new and beautiful little love! So beautiful. Had to read about Ivy right away! Many congratulations. What a wonderful little granddaughter. For us it was a case of”love at first sight”. She is fortunate to have such a loving family and loving extended family. Welcome Ivy Elizabeth! So sweet! Many blessings to you and your family! Your ears musta been burnin’ this morning because I was wondering about you and Ivy Elizabeth! Formerly known as Rainbow. You both look lovely and radiant. Nice work! Can’t wait to meet her. Take good care, and hope to see you in the warmer days ahead!! I’ve been looking forward to the post wherein you would introduce Ivy Elizabeth and this did not disappoint! I am more excited than I can handle! Baby baby baby!!!! LOVE LOVE LOVE LOVE INCARNATE!!!! Congratulations! She is so lovely! Not sure if you remember me but I met you at the tot lot a couple times with my daughter Willa. I’m so happy everything went well with the delivery and hope that you’re feeling better. I’d be pleased to help you out in any way that I can and you feel comfortable with. Ivy is so, so, so very beautiful. I’m so happy for your little clan. And what a lovely introduction. You make me want to do it again. I’m so thrilled to read about Ivy! She’s so tiny and fancy, what, with all her tricks. I can’t wait to meet her someday. Congratulations! Gotta love Mr. Caesar (oof). 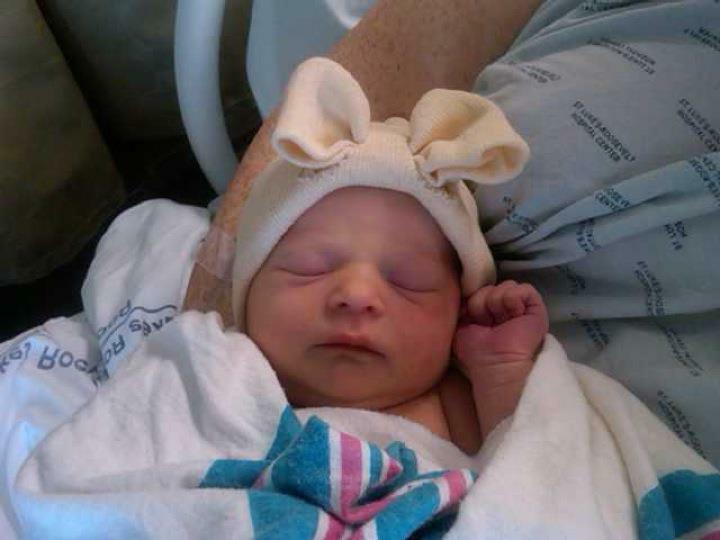 That is one gorgeous petite little Brooklynite, welcome to the world! Hi Meredith, the other day I was wondering about your due date (which I had forgotten). I just looked for your blog and … I am so glad about the great news!!! Ivy Elizabeth is carinissima! I am very happy for you. We send you all a big hug, Anna Maria and Camille. Congratualtions a bit late on the new little one. Love the name Ivy!